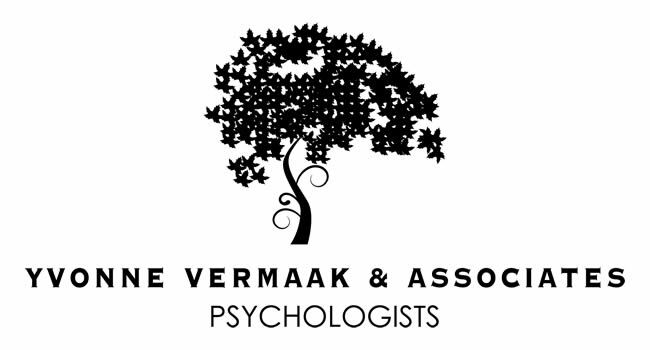 We are passionate about knowledge sharing and growing the field of Neurorehabilitation in South Africa. We provide a number of CPD accredited courses throughout the year. 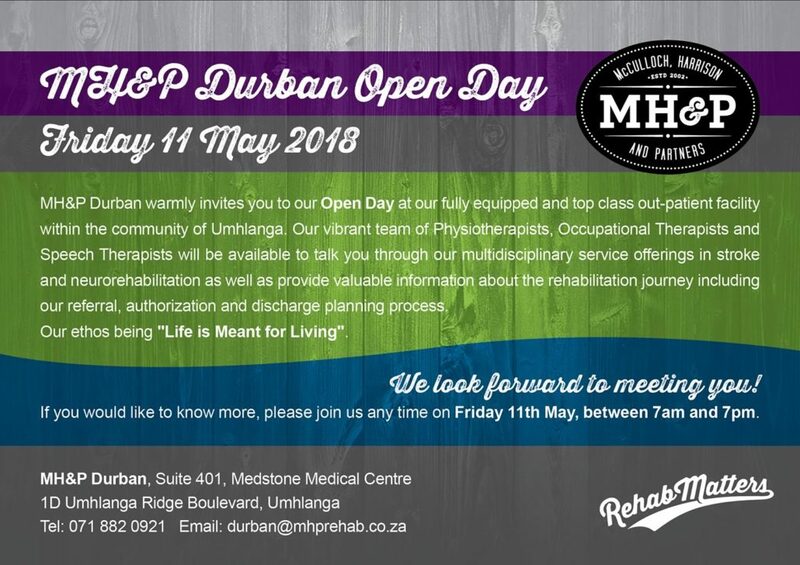 Please contact us at courses@mhprehab.co.za for application forms to attend. We are a dynamic, multidisciplinary healthcare team consisting of Physiotherapists, Occupational Therapists and Speech Therapists. We are passionate about neurorehabilitation and have a very strong patient- centred approach to our services. We have various units across Gauteng and KZN and our therapists gain exposure to and experience in the acute, sub-acute and out-patient setting. We also have a skilled administration team who deliver the operations of the company and provide our clinical staff with excellent support. We like to see ourselves as a family with our patients at the heart of it. Our staff to contribute to the long-term goals and vision of the company. Our people development objectives extend further than just our family. We aim to develop individuals in a way that enables them to make a meaningful contribution to society and their communities. We believe in the importance of supporting adults over 65 years, to stay strong and avoid falls. It is our mission to reduce your chances of falling by partnering with you to keep you safe and build your confidence. Falls affect one in three adults over 65, and yet the majority of falls are preventable by understanding the risk factors. The therapists of McCulloch, Harrison & Partners offer an 8-week Falls Prevention Program, where you can learn about your fall risk factors, understand how balance and strength impact fall risk, understand how medication, vision and your home environment can impact your fall risk and interact and learn from the experience of others. Take action today! If you’re over 65 and have had a fall, or are afraid of falling, we can help! Life following brain injury – what does it mean for me now? This group engages in thinking about “doing what we need to do”, and doing what’s important in our individual lives, despite our changed roles and routines. It explores options for meaningful participation in life as we now know it. If you have questions about how you can be more involved in activities both inside and outside of your home, this group is for you. 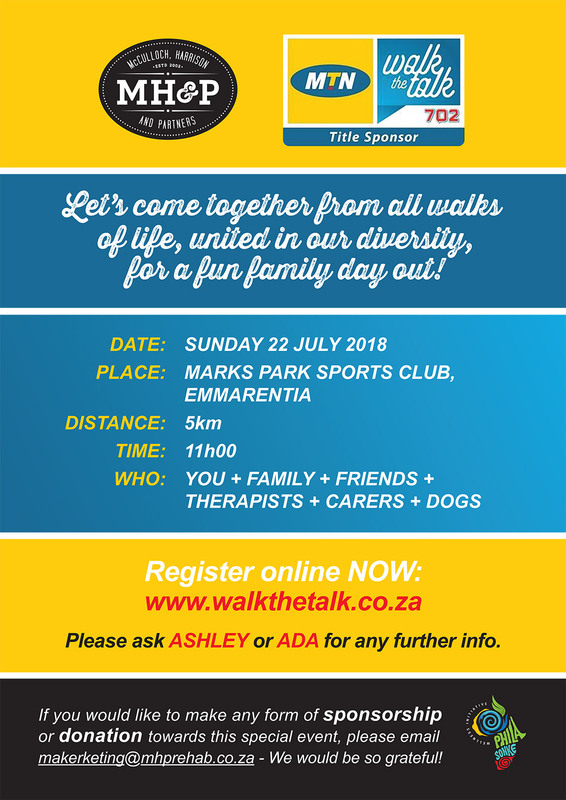 The focus of this group is on improving an individual’s walking and endurance whilst also creating a forum for patients to socialize with each other. To join, individuals need to be able to walk 50m independently with or without an aid. Feeling alone, sad, angry, irritable or worried? These are normal reactions to a neurological event. If you would like to learn more about these emotions in your life as well as how to manage them and make sense of them, then you are invited to join the RehabMatters Psychological Support Group. Are you experiencing difficulties with your thinking skills? Do you ever get confused? Are you forgetful? MH&P therapists are here to offer support, retraining and strategies to help you improve and cope with these invisible problems that can make one’s every day so challenging. 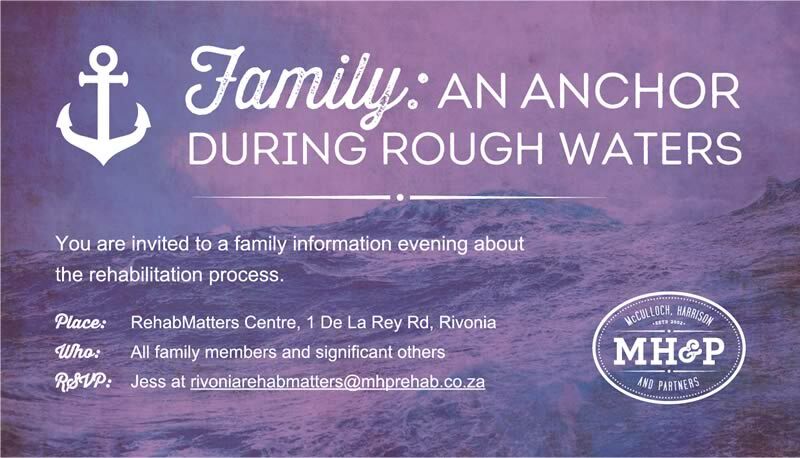 As such, once per month, a family information evening, or Anchor Meeting, is held for families of loved-ones who are new to the RehabMatters centre. The purpose of this meeting is to explain some of the processes and procedures associated with out-patient therapy specifically, and equip families with what to expect, but also to offer families an opportunity to network with, and support one another. The clinical staff of MH&P work closely with Face Value Foundation, an organisation started by people who are passionate about educating others about Head and Neck Cancer. 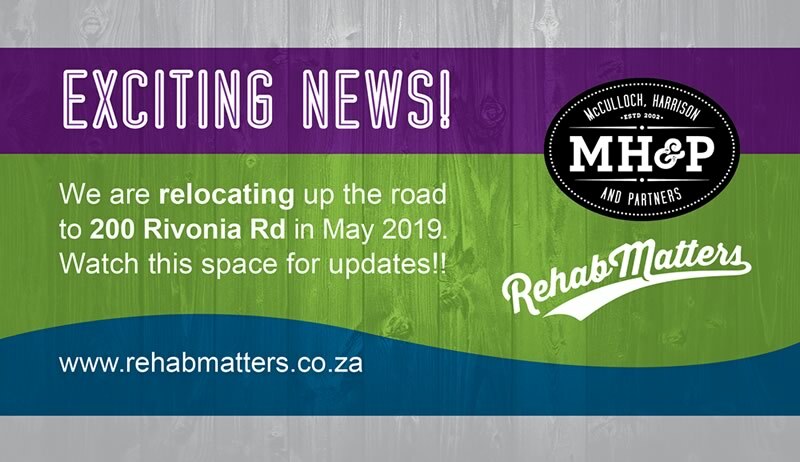 Click here for more details, dates and times. 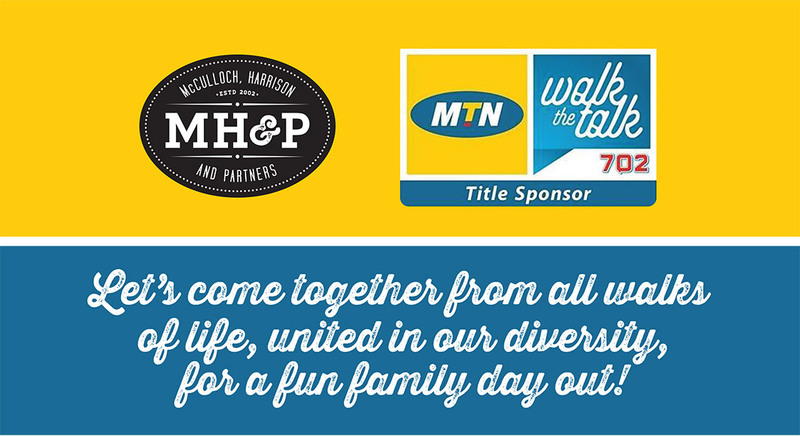 Go through to www.walkthetalk.co.za for registrations. Amputee Matters is a consultant-led prosthetic service with full multidisciplinary team assisting our specialists. The specialist team provides excellent care for lower limb and upper limb loss patients, aiding patients from prescription through to post-operative treatment, and then onto the lengthy goal-orientated recovery. Our team of skilled experienced prosthetists will match your needs to the appropriate technology and techniques, working with you to understand your objectives and expectations.